Getting ready for your OCONUS PCS move? 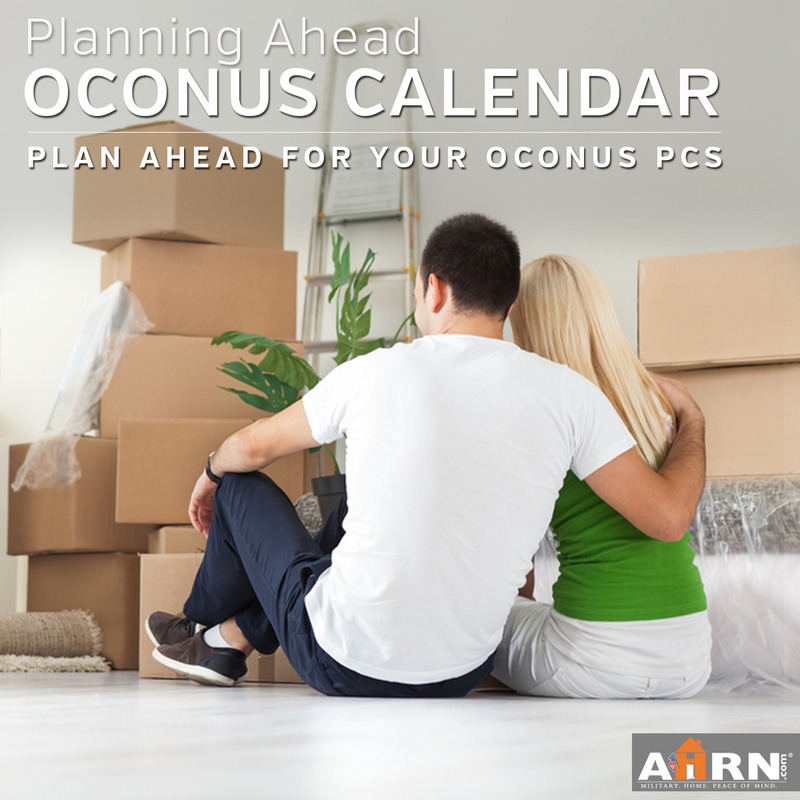 Although your move date may be months away, here is a OCONUS PCS calendar to help you get organized! Whether you are excited, apprehensive or a combination of the two, it’s never to early to start planning your move. While your departure may not be for months, there are decisions that need to be made now! OCONUS PCSing with a pet can be expensive and intimidating. Every location is different with unique requirements. Make sure, no matter where you are headed, that your pet is up-to-date on vaccines to avoid any delays or the inability to travel. Plan on starting the process a minimum of 90 days before you leave (although some destinations will require a series of shots that take longer). During travel, plan to carry your pet’s records. They must have a health certificate prior to travel which is only valid for 10 days. Work with a vet to have the appropriate paperwork in hand. We recommend hand walking the paperwork from the vet’s office to the nearest USDA health certificate office, instead of mailing it, because of the tight 10 day turnaround. Among the biggest choices made by service members headed to OCONUS duty stations is whether or not to bring the family. These assignments will require you to go through the command sponsorship process. As part of the process, all family members need physicals that are coded appropriately from your PCM. These physicals must be done within 4 months out of your PCS/report date. At many installations, military clinics will only schedule a set number of OCONUS physical appointments each month. Plan ahead and speak to your clinic about when you need to call to get your appointment on the books as early as possible. After physicals, family members need to schedule an additional EFMP screening. The physical must be done before your EFMP screening and you must have the EFMP screening to head OCONUS with your service member! After the physicals and EFMP screening are complete, if orders were cut as unaccompanied, the service member must submit a Command Sponsorship packet to get their orders amended to include dependents on orders. Family members must be on the orders to receive the full PCS shipment weights, book travel arrangements and secure housing! The process of obtaining command sponsorship can take time – it requires coordination between the personnel sections of your outgoing and incoming units. Give yourself as much time as possible! Move.mil is important for those headed to overseas duty assignments(for every PCS really!). Each service member must register for DPS and do an online counseling as soon as orders are in hand. That online counseling starts the process for a number of PCS necessary tasks like scheduling your HHG pick up! After orders are in hand, visit the government transportation office. Each accompanying family member must have a government passport in additional to a tourist passport. This process can take weeks, so it is best to initiate as soon as possible. For your overseas move, you will schedule four shipments: Personally Owned Vehicle, Non-Temporary Storage, Unaccompanied Baggage, and Household Goods. Before the packers arrive, you will need to divide your things for each shipment. Transportation will schedule non-temporary storage, unaccompanied baggage, and household goods pick-ups on separate days to avoid confusion. Non-Temporary Storage: The military will pay for household goods to be stored in a contracted commercial storage facility. These are things that you are not taking to your OCONUS duty station. Unaccompanied Baggage: For some OCONUS duty stations, you will be able to ship a small amount of items ahead of your primary household goods. This shipment usually arrives in 4-6 weeks (and will leave well ahead of your report date) and is usually made up of things you will need for the first few months – sheets, clothes and pots and pans are often recommended. When this shipment is packed and sent will depend on your preference and availability. Household Goods – The remainder of your household goods will arrive a few months after you do. There are country specific recommendations and restrictions on what to bring as part of your household goods. Generally, appliances are not allowed among other things. You are allowed to ship one vehicle for an OCONUS move. You will need to decide in advance whether to sell or store any other vehicles. Check the policy for flights at your location well in advance. Your options will vary based on availability and the country policy. 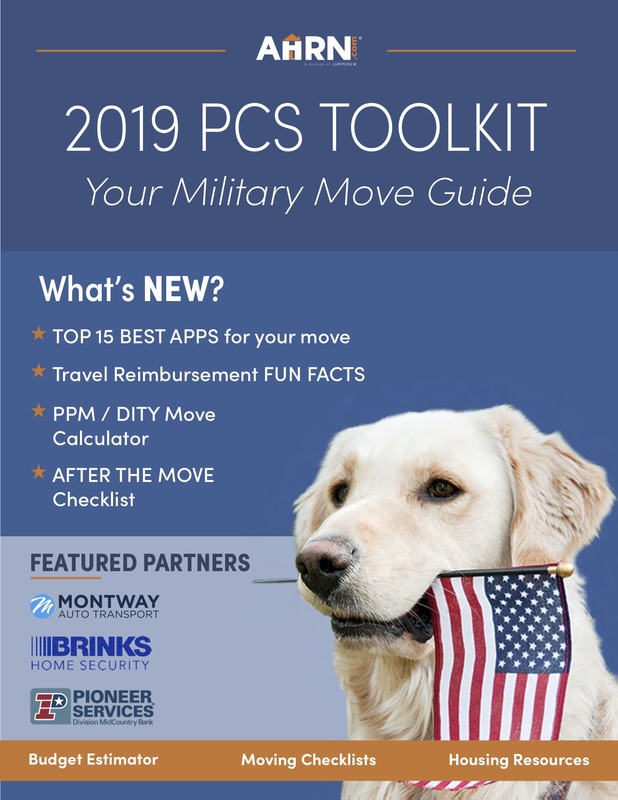 While you are still enjoying your times stateside, getting a jump on PCS organization and planning will make for a smoother and more confident OCONUS PCS later! Curious about where you’ll live? Update your AHRN.com dashboard your new destination!